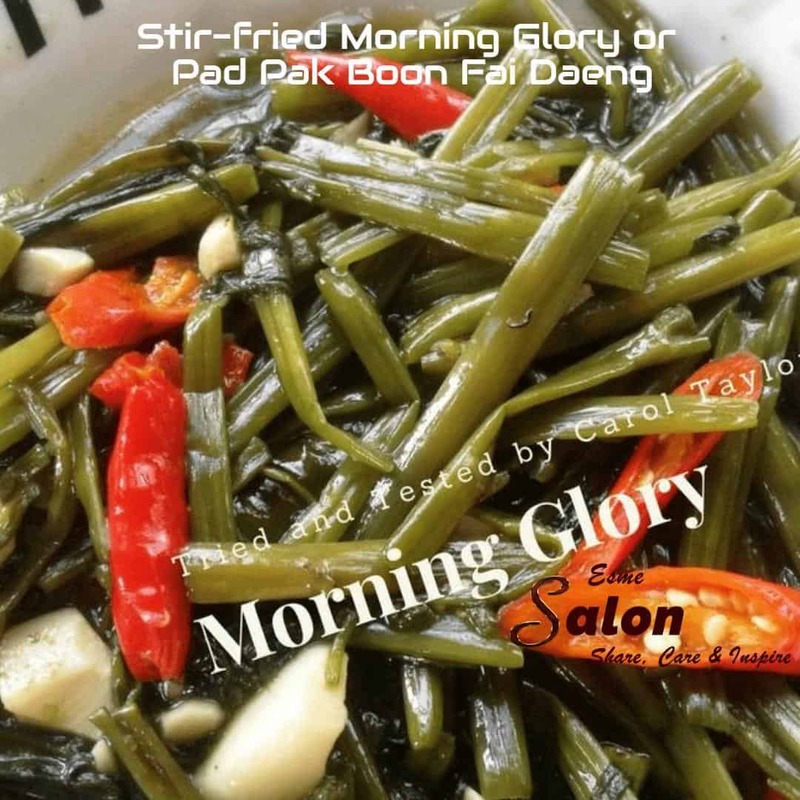 Stir-fried Morning Glory or Pad Pak Boon Fai Daeng is also known as water spinach. It was my breakfast this morning with steamed rice and is a very popular vegetable dish in Thailand. This is a very quick dish to cook once you have all your ingredients prepared, 5 mins at the most. Wash and cut your morning glory into 4-6 inch pieces. Add the garlic and chilies and stir-fry (stirring) for 15-20 seconds be careful not to let garlic burn. Add morning glory and all other ingredients except for the vegetable stock. Some more Thai dishes just for you, and you and you! !